2x set left xenon headlight repair kit right for audi a4. This product page has been automatically translated. If you have any questions, do not hesitate to contact us. 6 elements (plastic part, 4 screws x, x 2). Add our shop to your favorites so that you will be informed in the future always in time on special promotions in our shop. Our transportation and logistics partners. 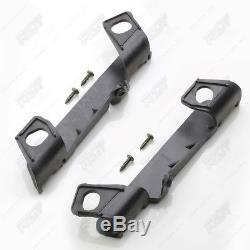 2 x set of repair kit holder xenon lamp left right for audi a4. Compatible with the following models. 1595 ccm, 75 kw, 102 ch. 1781 cc, 110 kw, 150 ch. 1781 cc, 125 kw, 170 hp. 1781 cc, 120 kw 163 hp. 1781 cc, 140 kw, 190 ch. 1896 ccm, 96 kw, 130 ch. 1896 ccm, 74 kw, 101 ch. 1896 ccm, 85 kw, 116 ch. 1984 cc, 96 kw, 130 hp. 1984 cc, 110 kw, 150 ch. 2393 cc, 120 kw, 163 ch. 2393 cc, 125 kw, 170 hp. 2496 ccm, 114 kw, 155 bedr. 2496 cc, 120 kw, 163 ch. 2496 ccm, 132 kw, 180 ch. 2976 ccm, 162 kw, 220 hp. 2976 cc, 160 kw, 218 hp. 253 kw, 4163 cc, 344 hp. Scheinwerfer, reparatursatz, reparatur, set, satz. Teil, ersatz, ersatzteil, austausch, repair, kit. Spare, part, replacement, repaiar, auto, automobil. Holder, hinge, befestigung, halterung, leuchte. The item "2x set left xenon headlight repair kit for audi a4" is on sale since Tuesday, August 21, 2018. 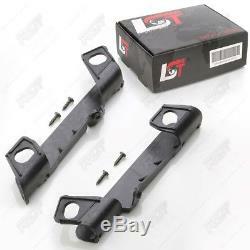 It is in category "auto, motorcycle parts, accessories \ auto \ parts \ optical, lights, turn signals \ bulbs, led ". The seller is "rst-ag" and is located at 84085. This article can be delivered anywhere in the world.